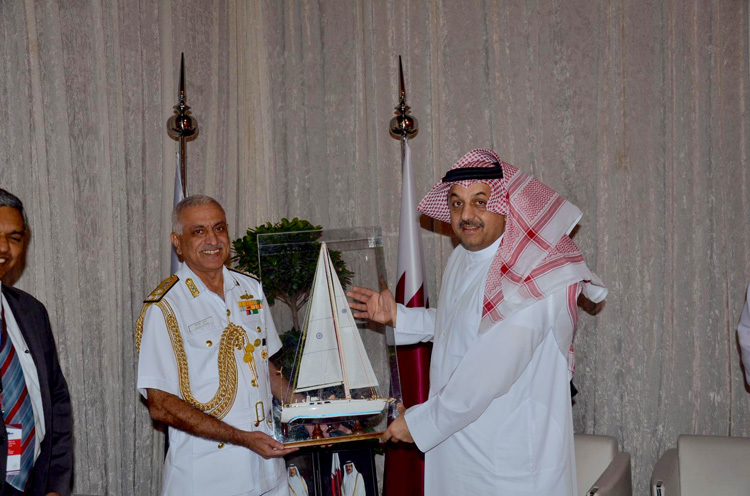 Vice Admiral Girish Luthra PVSM, AVSM, VSM, ADC Flag Officer Commanding in Chief Western Naval Command, is on a visit to Doha, Qatar from 12-14 Mar 18 to participate in Doha International Maritime Defence Exhibition (DIMDEX) and the Middle East Naval Commanders Conference. The Commander in Chief was received for the conference by the Deputy Emir of the State of Qatar, H H Sheikh Abdullah bin Hamad Al Thani. The CinC called on the Prime Minister of the State of Qatar H H Abdullah bin Nasser bin Khalifa Al Thani, the Deputy Prime Minister and Defence Minister H H Khalid bin Mohammad Al Attiyah, the Chief of General Staff Qatar Armed Forces HE Major General (Pilot) Ghanem bin Shaheen Al Ghanem and the Commander Qatar Emiri Naval Forces, Maj Gen Abdullah Hassan Al Sulaiti. 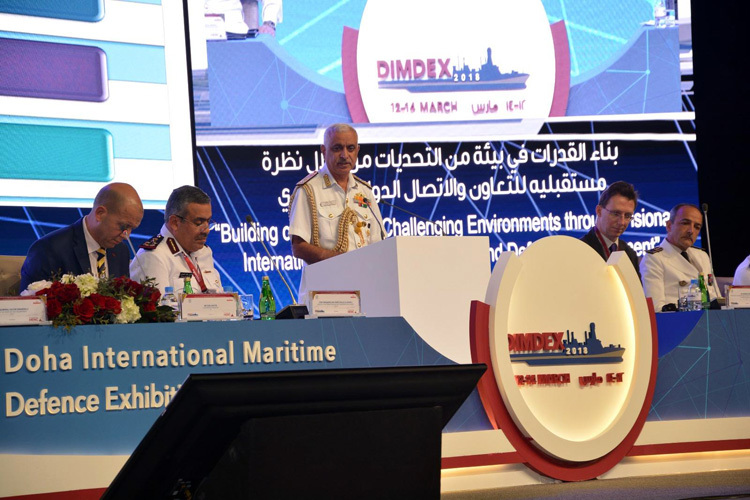 Vice Admiral Luthra also addressed the gathering in the Middle East Naval Commanders Conference on the topic 'Building Capabilities in Challenging Environments through Defence Engagement'. INS Kolkata, an indigenously built destroyer, is also concurrently on a visit to Doha to participate in DIMDEX. 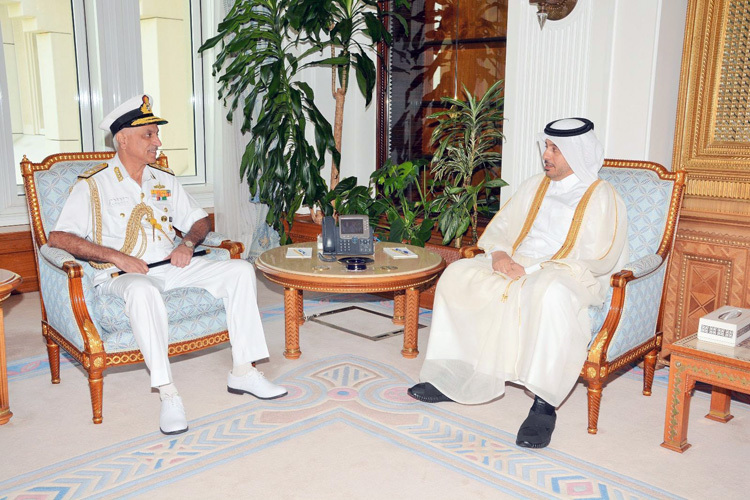 A maiden Passage Exercise (PASSEX) between Indian Navy and Qatar Emiri Naval Forces is also scheduled on 15 March 2018.